The Vines is uniquely owned and operated by registered nurses. 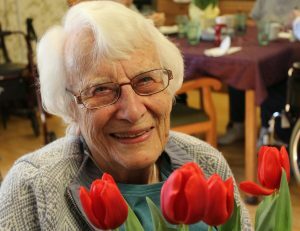 We are a Sheltered Care Home licensed by the State of Illinois dedicated to enhancing the lives of seniors in our community. Sheltered care is for seniors who do not require skilled nursing care, but do need assistance, and/or supervision in meeting their daily needs. We are committed to offer excellent, professional care in a safe, pleasant and social environment. Having compassion for each resident combined with our intimate setting, we strive to create a home like atmosphere. We treat each individual as if they were family, promoting personal friendships while maintaining a sense of independence, dignity, and respect. The Vines Senior Homes takes pride in the care for their residents providing them with a comfortable facility with a welcoming touch. We thrive on making a connection with our residents and their loved ones so that their experiences are gratifying and never overwhelming. Our staff knows each of our residents by name. They know them on a personal level not just by their room number. This is a huge benefit of being a smaller facility. We are the tiny home on the block busting at the seams with compassion…so much so that The Vines opened our beautiful new Assisted Living Wing.